What's your favorite food pairing? Mine is pizza and wings. They are always better together when paired. Love that I can always get them perfectly cooked and prepared at Yellow Cab Pizza. When I am craving for this delicious duos (New York's finest pizza and Hot wings). 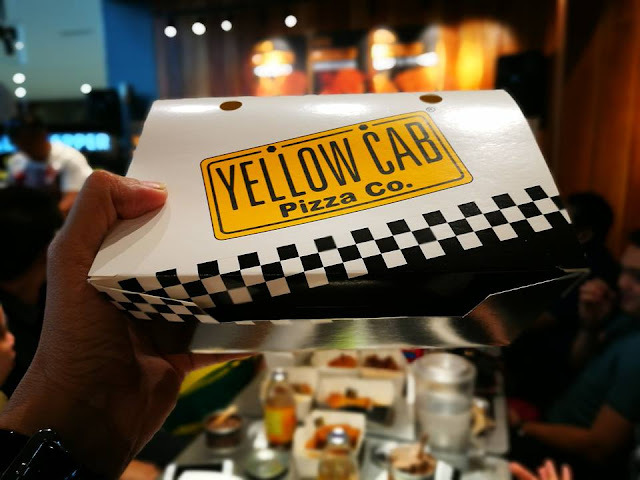 Yellow Cab Pizza is my to-go pizza place.! My perfect comfort food. Yellow Cab is near my residence, so they are just a phone call away for delivery. But if I want to savor the flavor and relax a little, I dined with friends and finished off with an order of strawberry or pistachio ice cream. 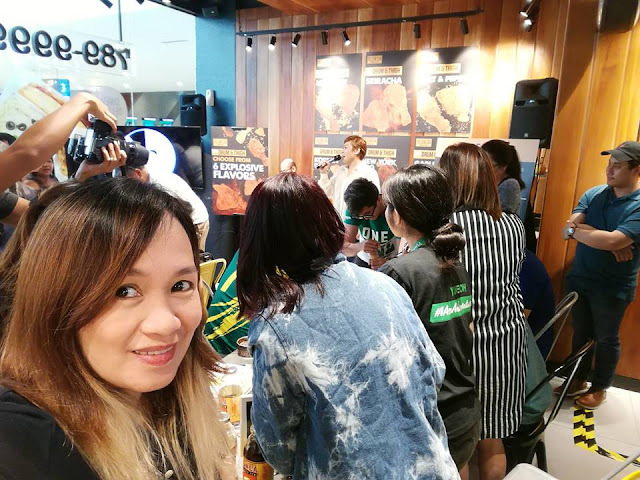 I am wishing that they will come up with chicken parts that I love like drum and thigh! 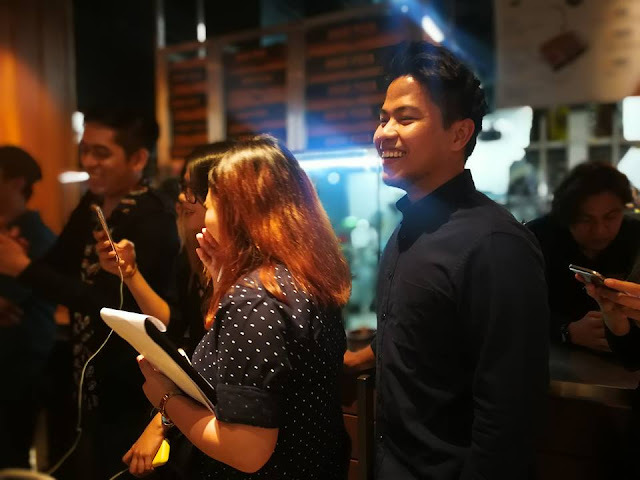 Then, I got an invite for a new product launch. 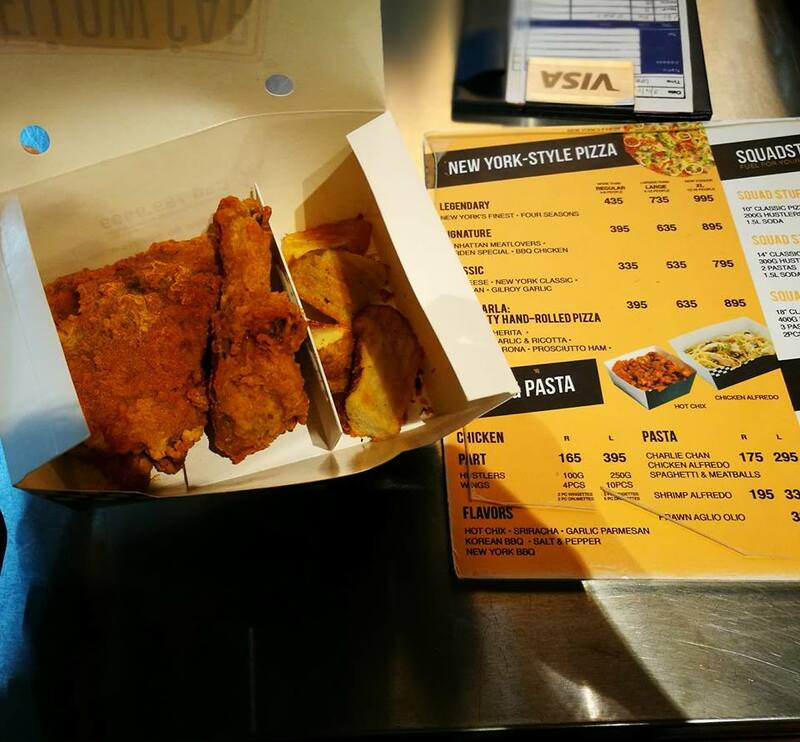 This is good news to chicken lovers as Yellow Cab Pizza launches Yellow Cab Drum & Thigh! on March 16 at Yellow Cab Ayala Mall, The 30th. We got to enjoy the launch as everyone had fun with games and food! 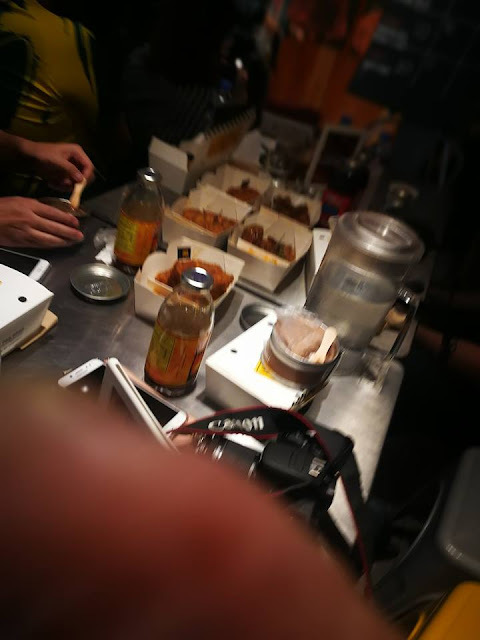 We feasted on drum and thigh chicken! and ice cream on the side. 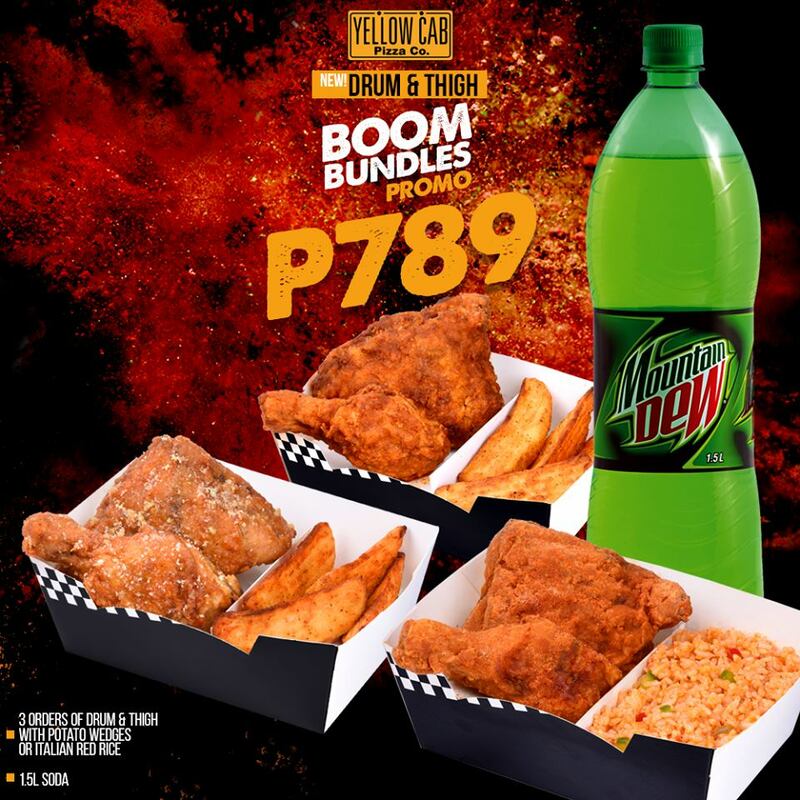 There is so much to choose from six explosive flavors, that is sure to satisfy your cravings. Starting at PHP189, enjoy two huge servings of fried, flavored chicken. 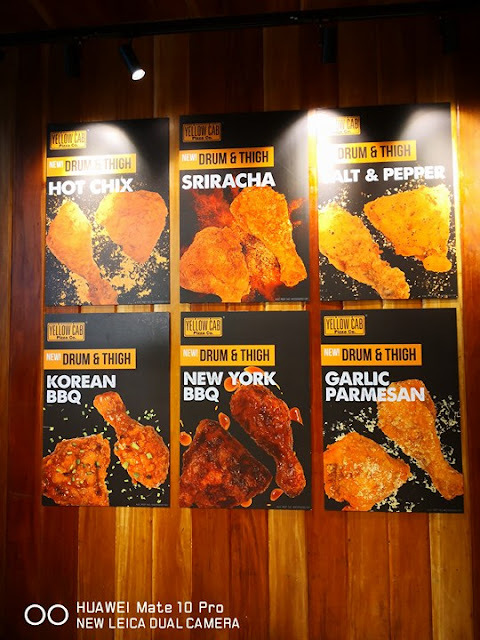 Take your pick from six explosive flavors: Sriracha, Salt & Pepper, Hot Chix, Korean BBQ, NY BBQ, and Garlic Parmesan. My personal favorite is the Garlic Parmesan Drum & Thigh flavor. It is garlic- spiked breading dip with a slight cheesiness to it. Perfect with Italian red rice. You heard it right! 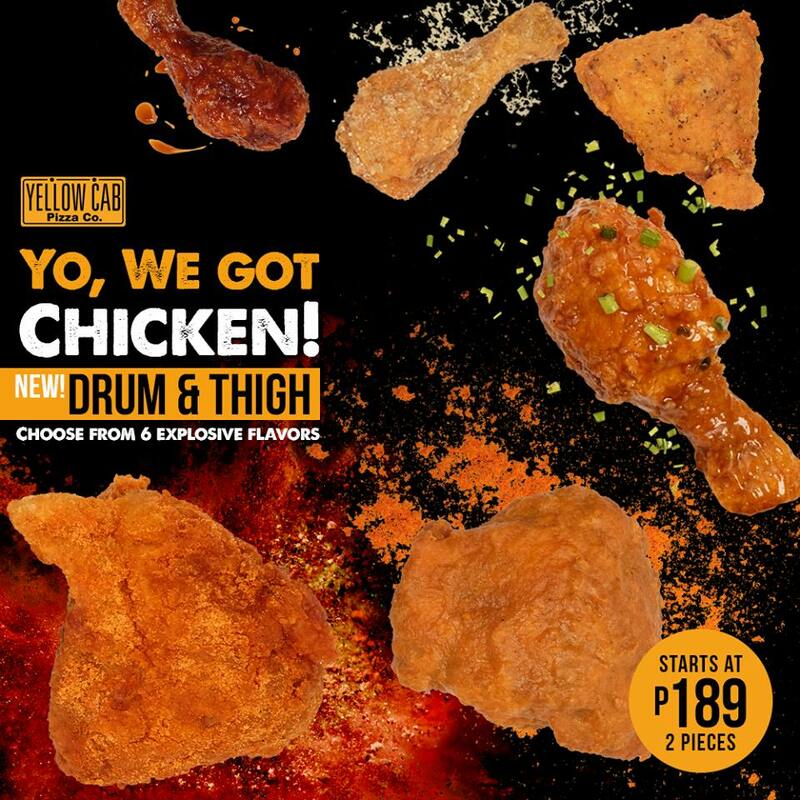 Everyone’s favorite pizza joint is upping their chicken game with the Yellow Cab Drum & Thigh! 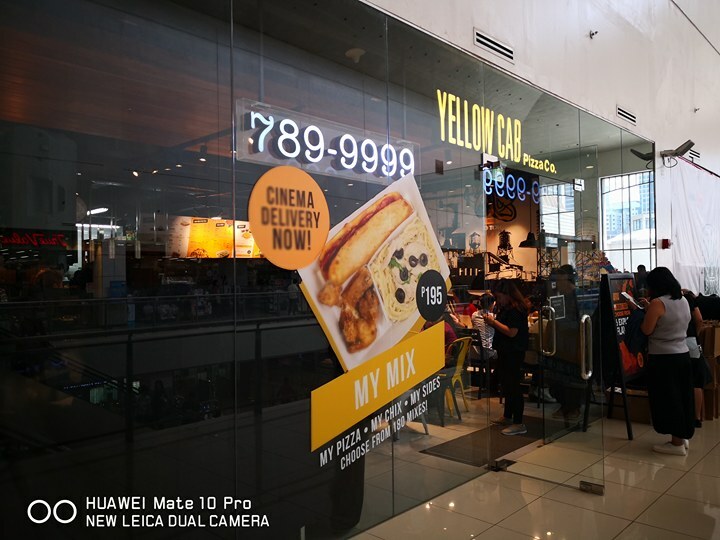 Yellow Cab Pizza Co. is back at it again, further fueling everyone’s hunger with the launch of the new Drum & Thigh! with a side of Italian Red Rice or Baked Potato Wedges. There is no turning back when you get the crowd favorite, Sriracha, which boasts of having the perfect mix of heat and sweetness. 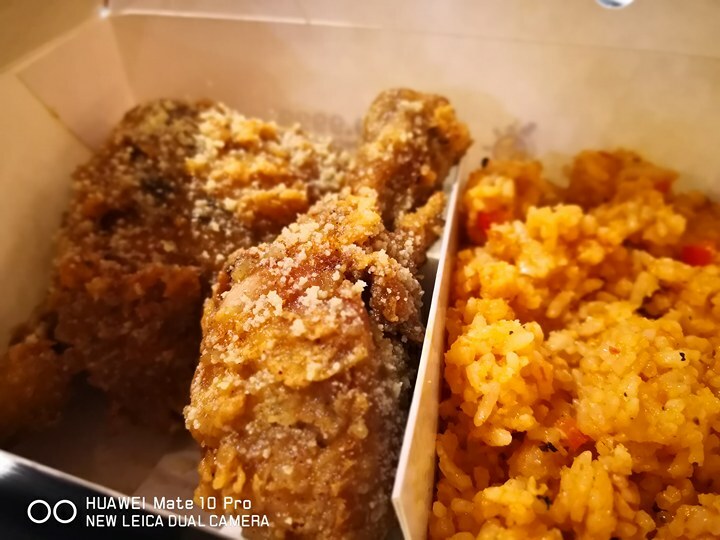 If you’re into the classics, try the Drum & Thigh in Salt & Pepper, a flavor that is perfect for those who like their chicken crispy, fried chicken speckled with cracked black pepper. Order the Drum & Thigh Hot Chix if you are daring enough to bite into a spicy explosion of flavor that punches you right in the mouth. If you are looking for sweet and tangy, then the Drum & Thigh Korean BBQ made with a secret blend of sesame oil and spices is right for you. But if you like it smoky, sweet, and dense, order the New York BBQ. 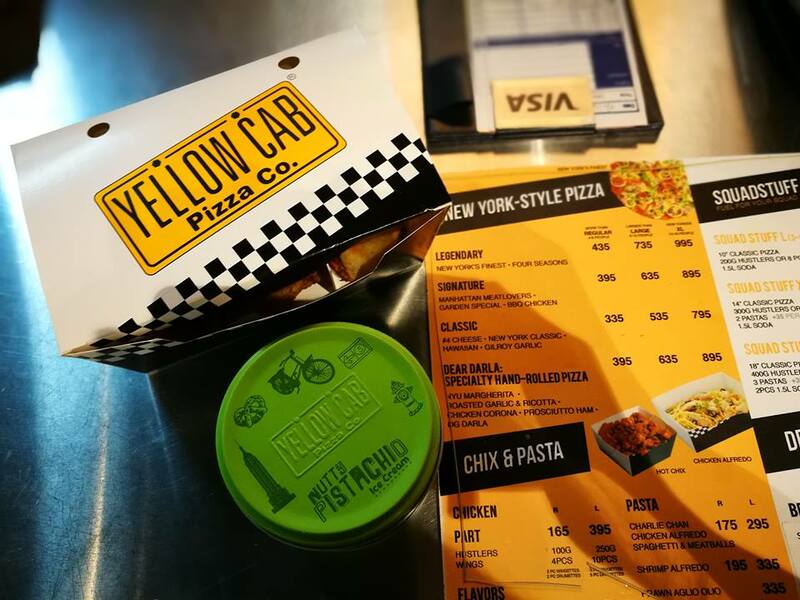 A signature Yellow Cab flavor, the Drum & Thigh Garlic Parmesan is tossed in garlic butter and topped with parmesan. 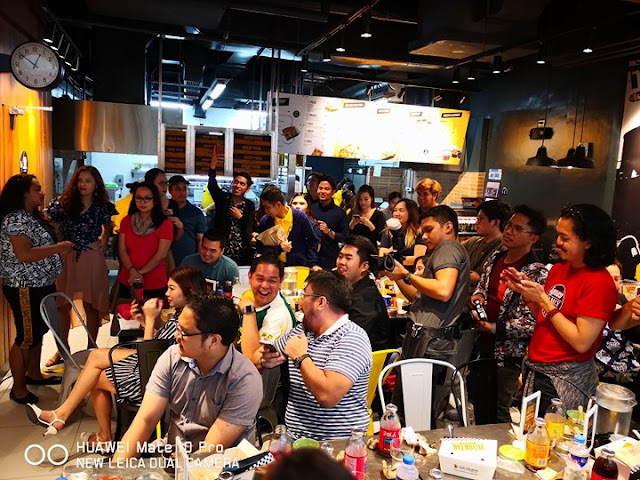 People head to Yellow Cab for the pizza, but true fans know that no order is complete without a side of wings or Hustlers. 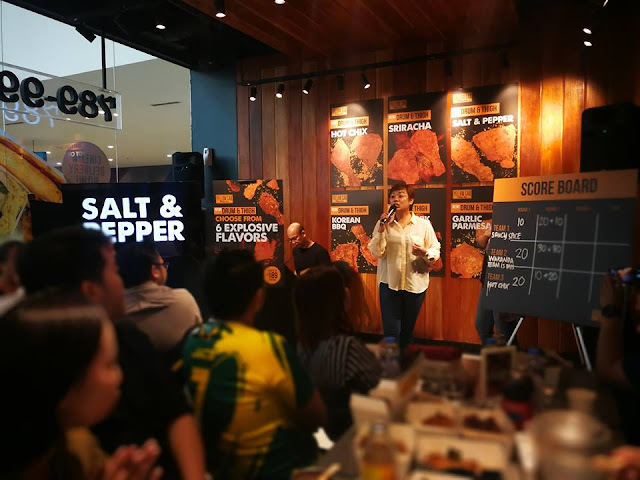 In line with the brand’s mission to #FuelTheHungry, Yellow Cab upped their chicken game to bring chicken lovers their signature wing flavors in sizes made for the big boys and girls. The Drum & Thigh is available in all Yellow Cab branches nationwide starting at PHP189 for an ala carte meal and PHP239 with a side of Italian Red Rice or Baked Potato Wedges. 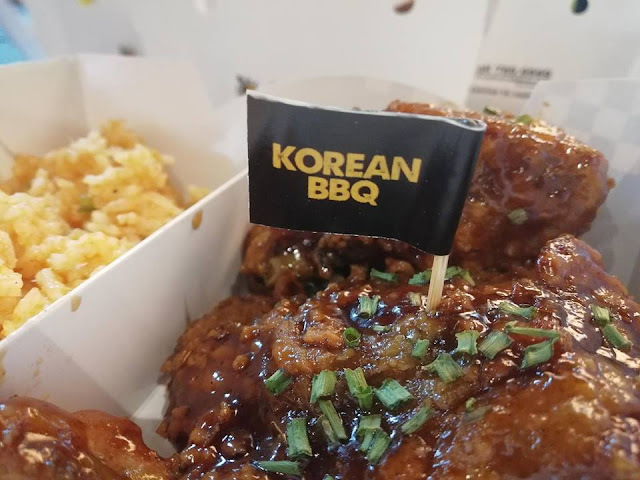 Labels: and Garlic Parmesan., Hot Chix, Korean BBQ, NY BBQ, Salt & Pepper, Yellow Cab Drum & Thigh! Sriracha, Yellow Cab Pizza Co.